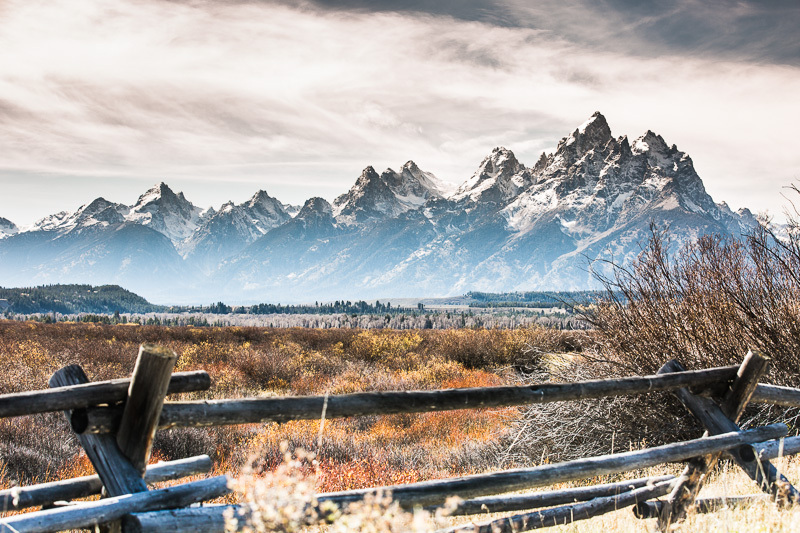 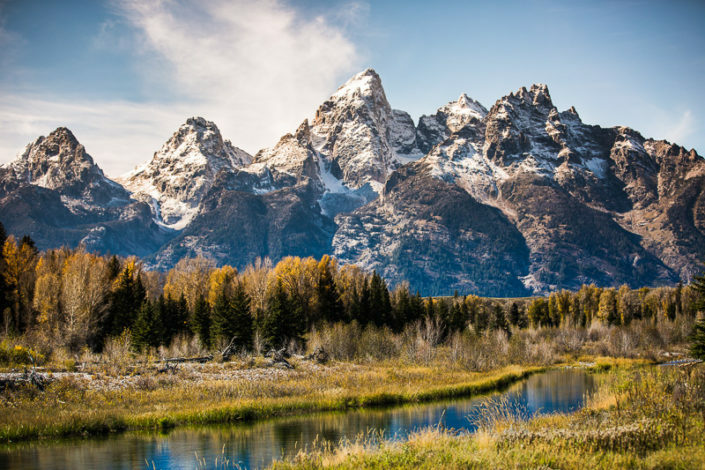 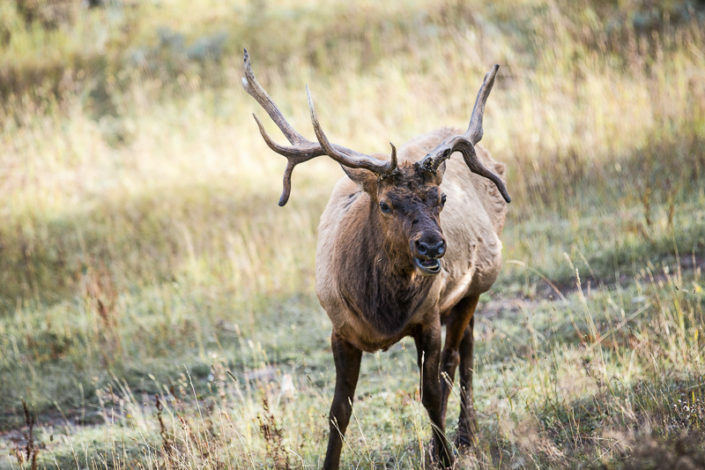 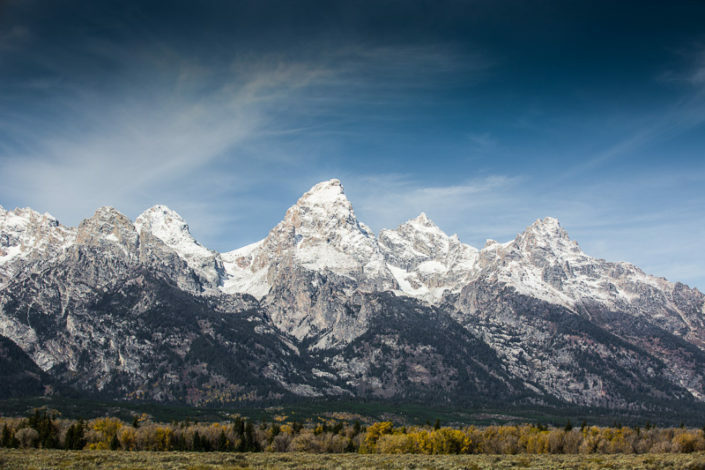 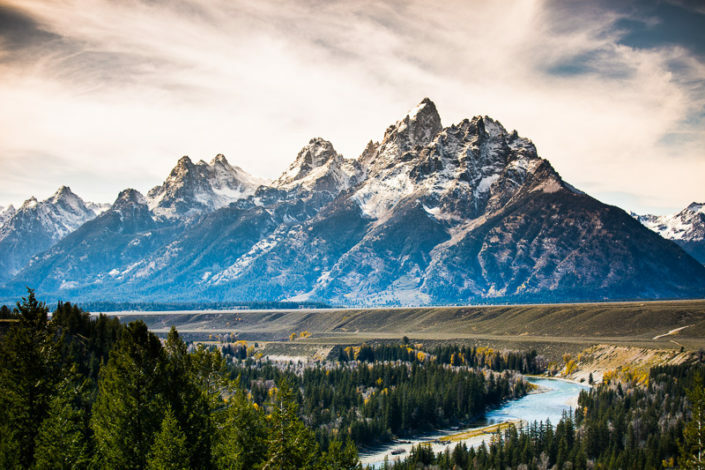 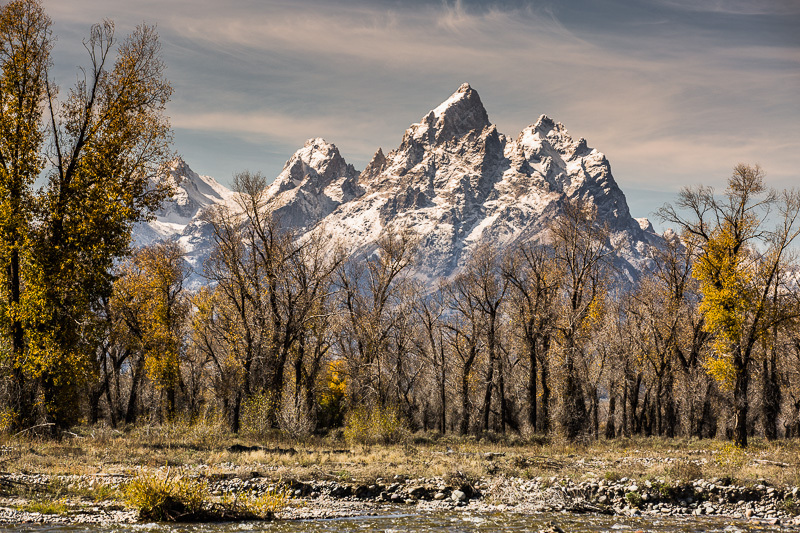 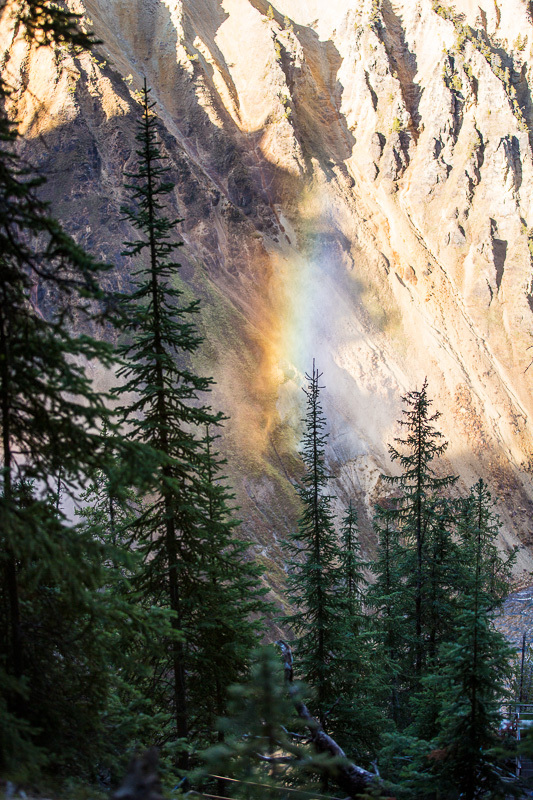 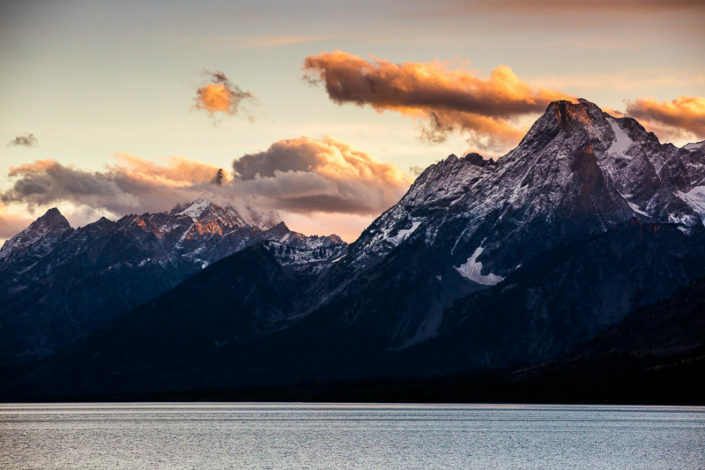 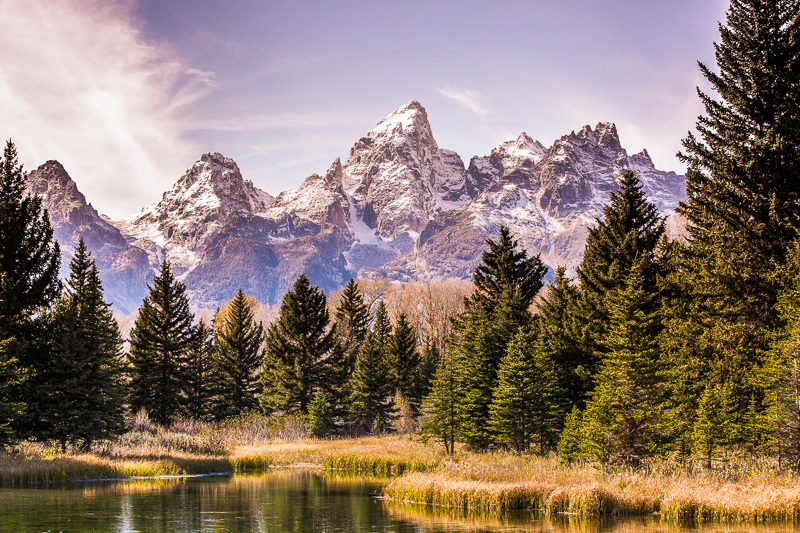 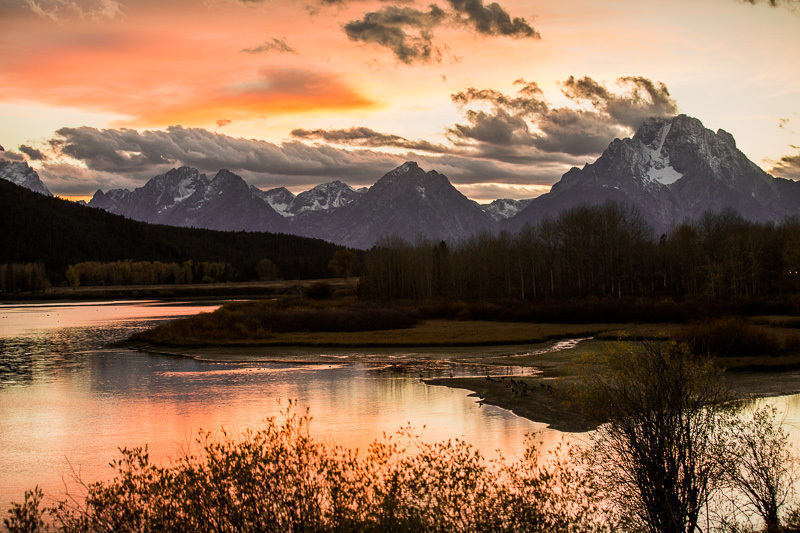 The town of Jackson, Wyoming is located in the west-northwest portion of the state and borders the southern entrance to Yellowstone National Park. 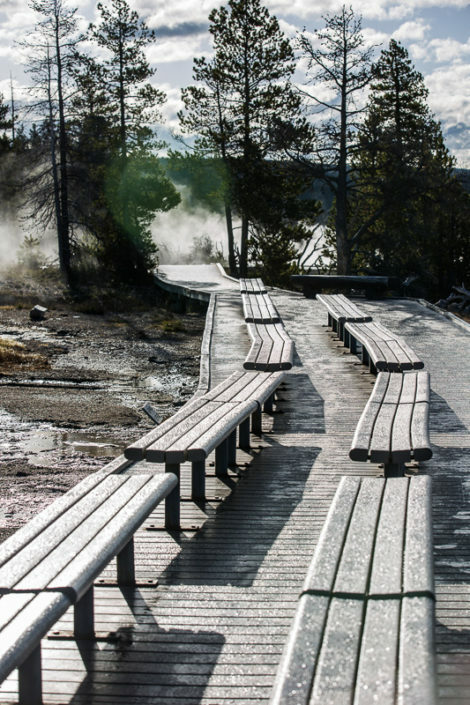 As part of a $16mil U.S. National Park Service project, we were assigned to photographically document several of the parks trails for repair, restoration and redesign. 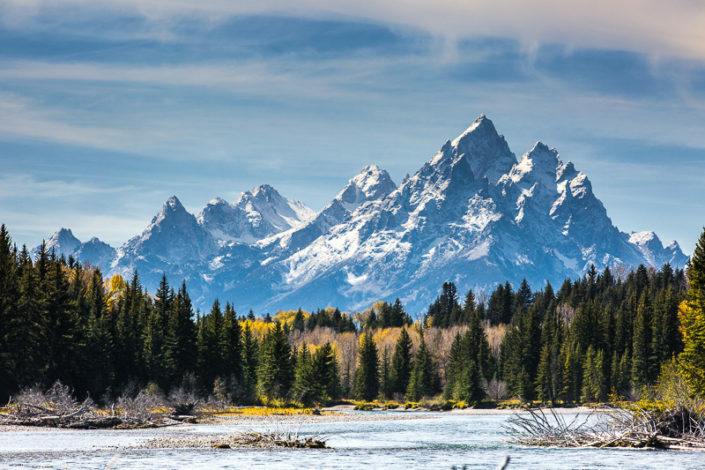 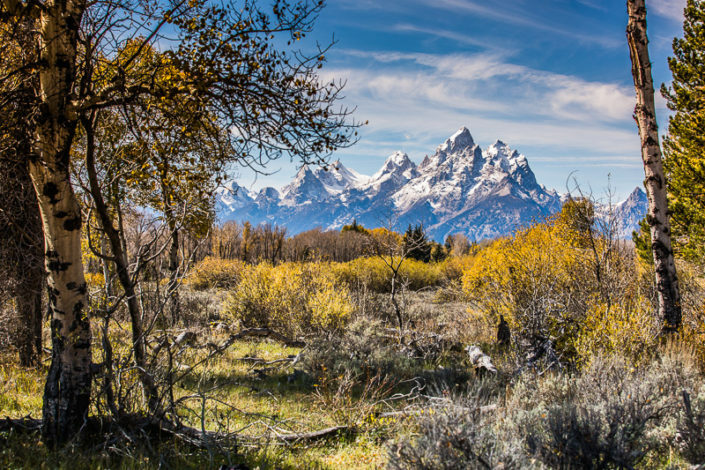 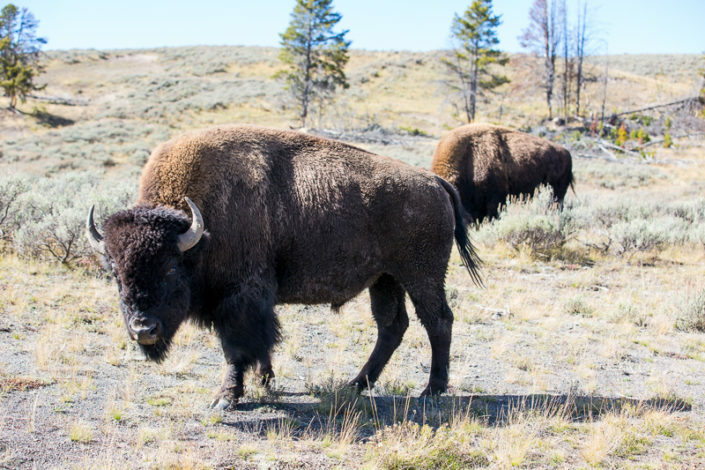 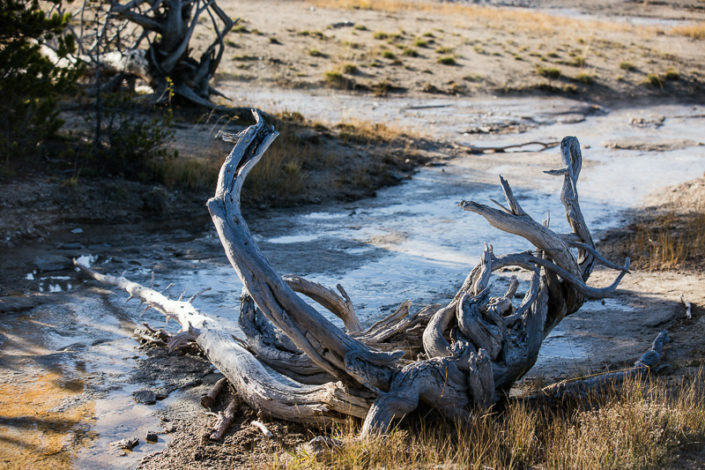 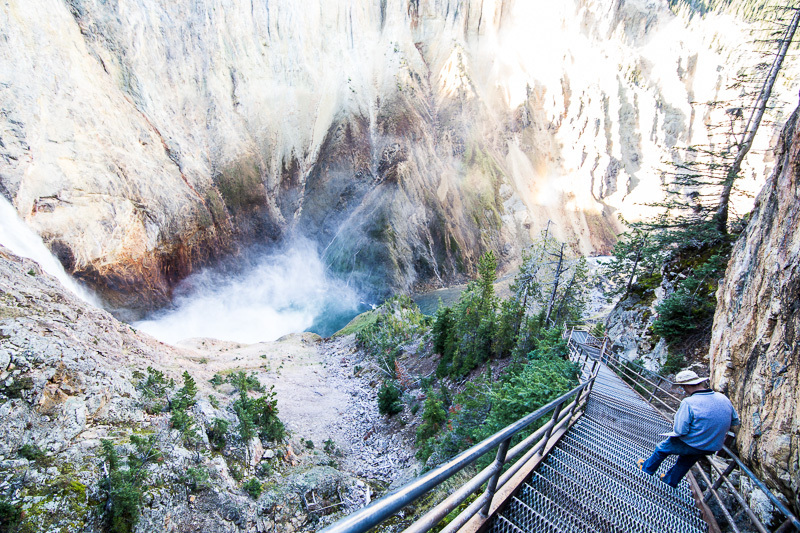 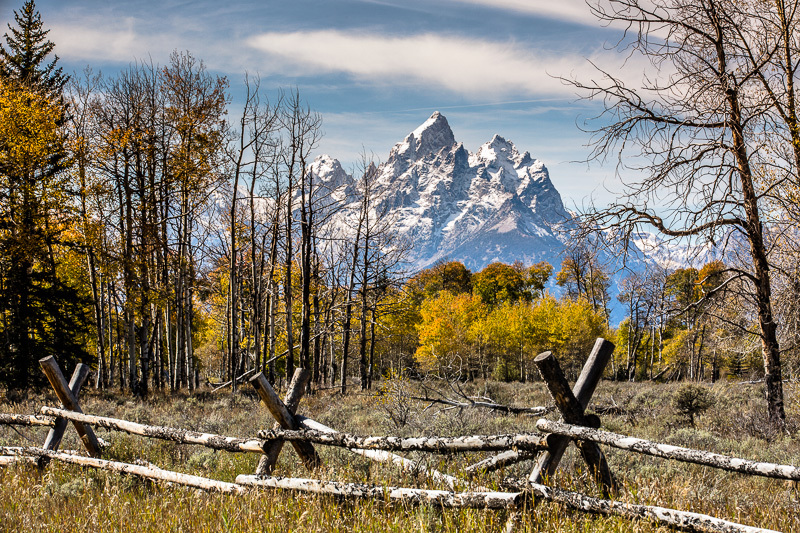 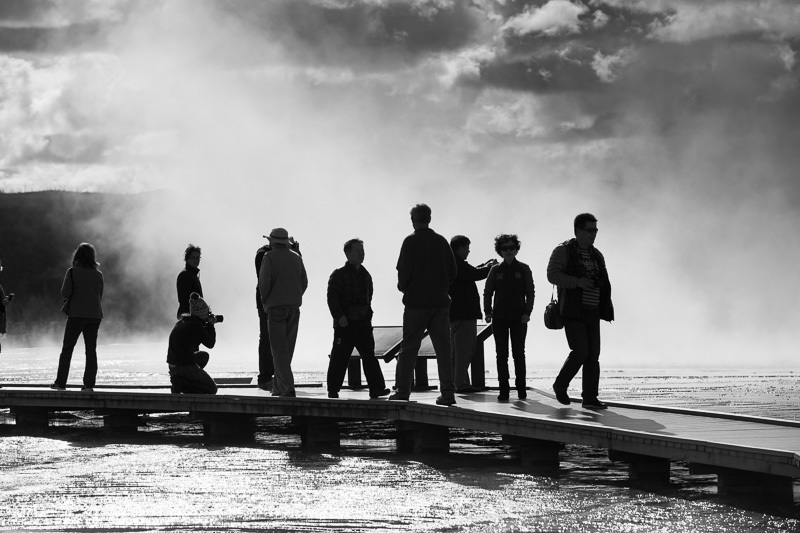 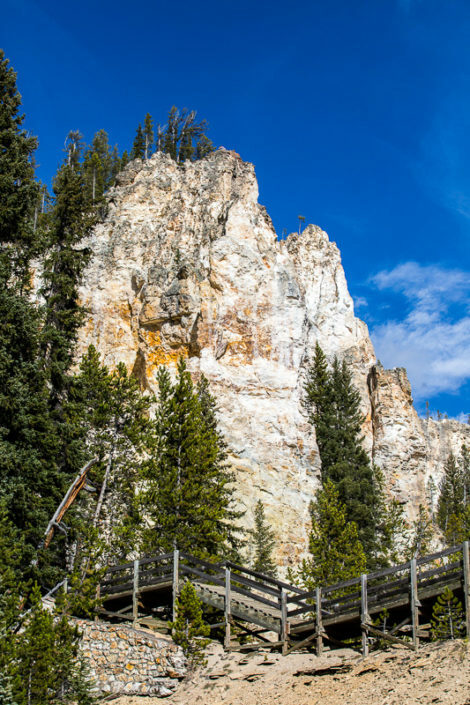 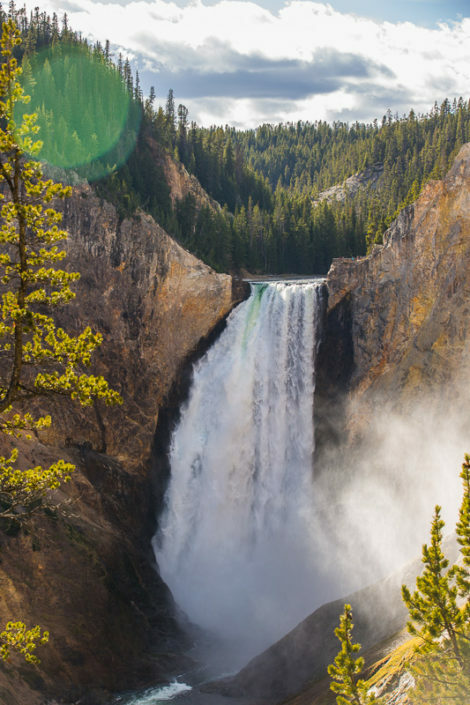 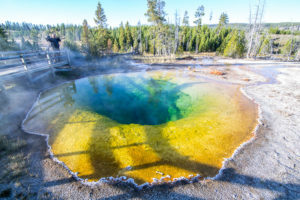 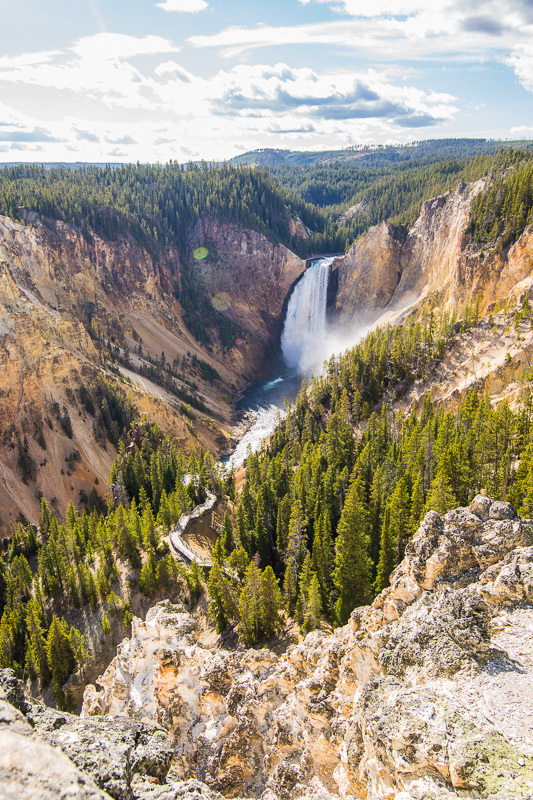 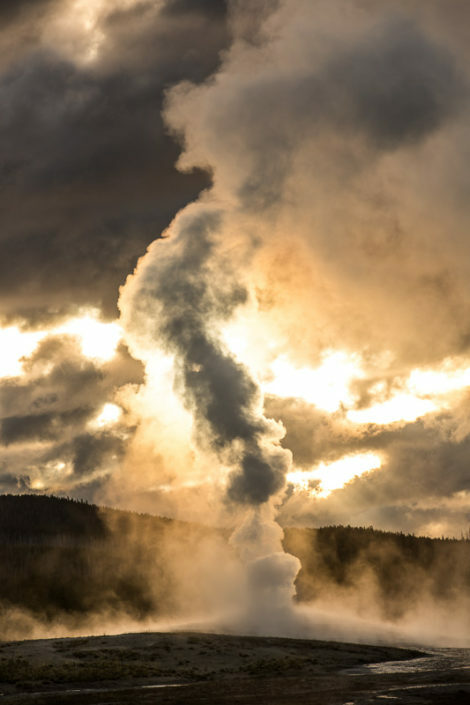 It is the objective of the Park Service to maintain a balance between the unparalleled drama while preserving safety for the enormous volume of visitors. 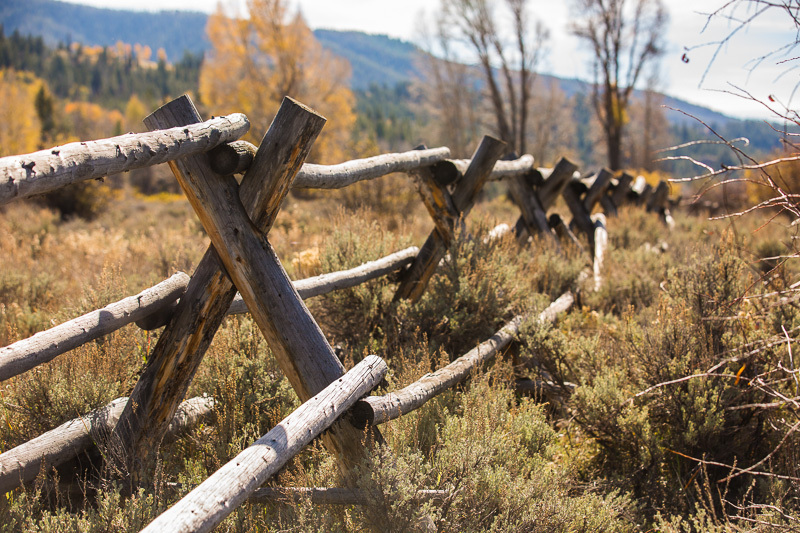 The following images span two-days of hiking and shooting trail conditions while taking time to capture some scenics–mostly scenics here. 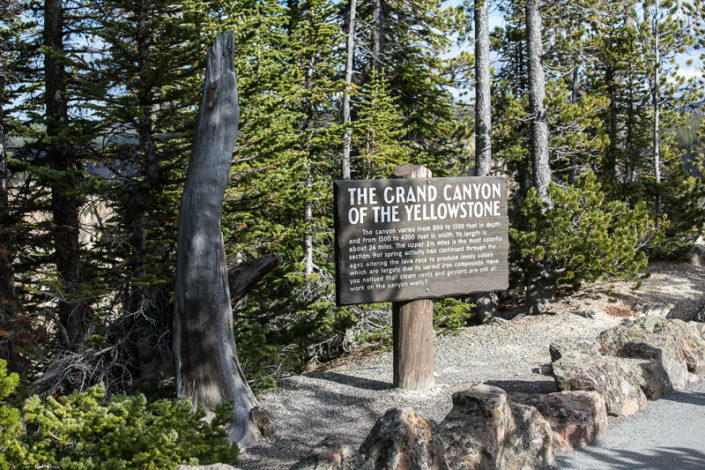 Interestingly, enroute to our first trail-head, we encountered a Park Ranger managing a small gathering of people parked along the main entry roadside. Expecting authoritative behavior we actually got a tour guide… “take my binoculars and look over across that field, there’s a 600lb. 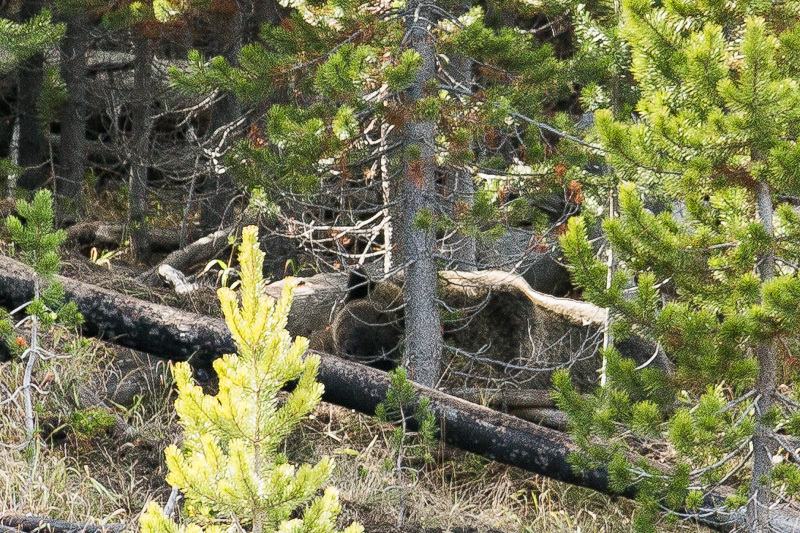 Grizzly atop his freshly killed Elk”–WHAT! Even more surreal, this Ranger was a 6′-4” version of Yao Ming–it all caught me off-guard. You’ll have to look carefully at the shot (after the buffalo below) to make things out, I was too far out for my 200mm lens to bridge the distance properly but I wasn’t about to, or be allowed to approach any closer. 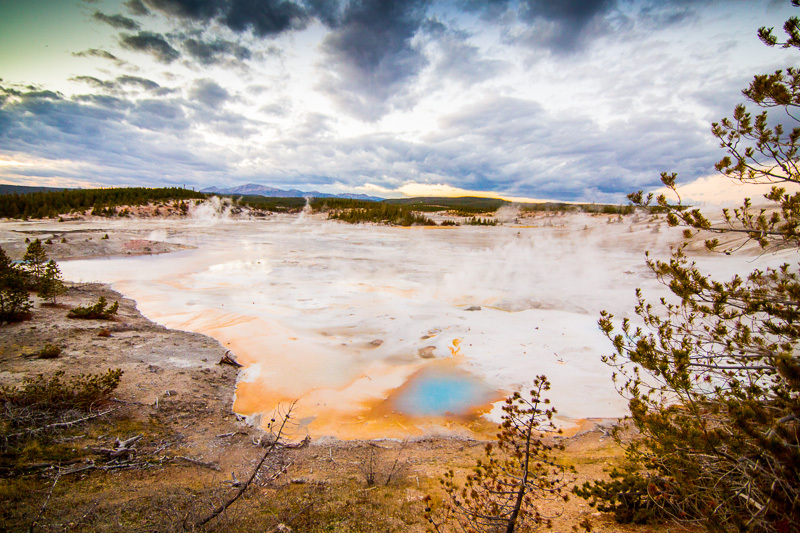 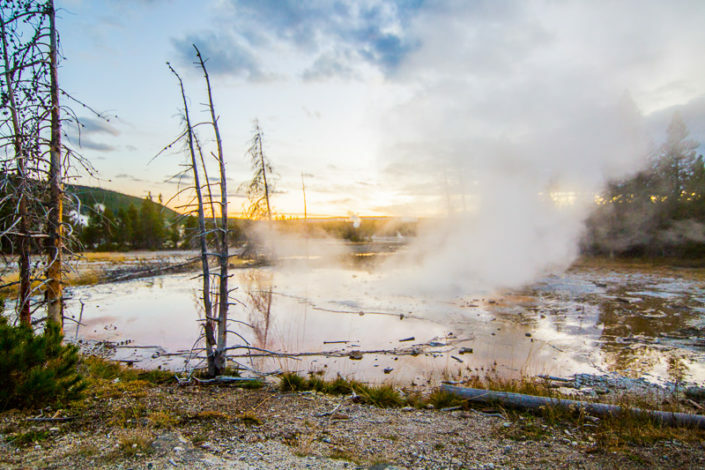 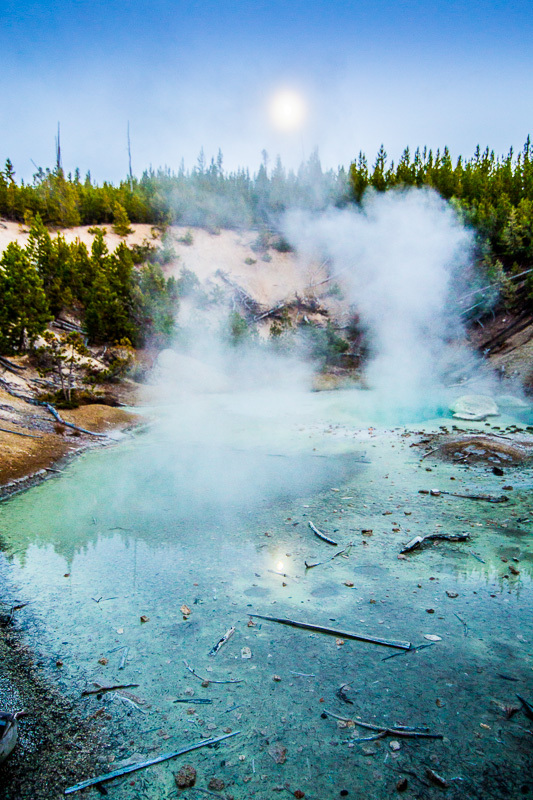 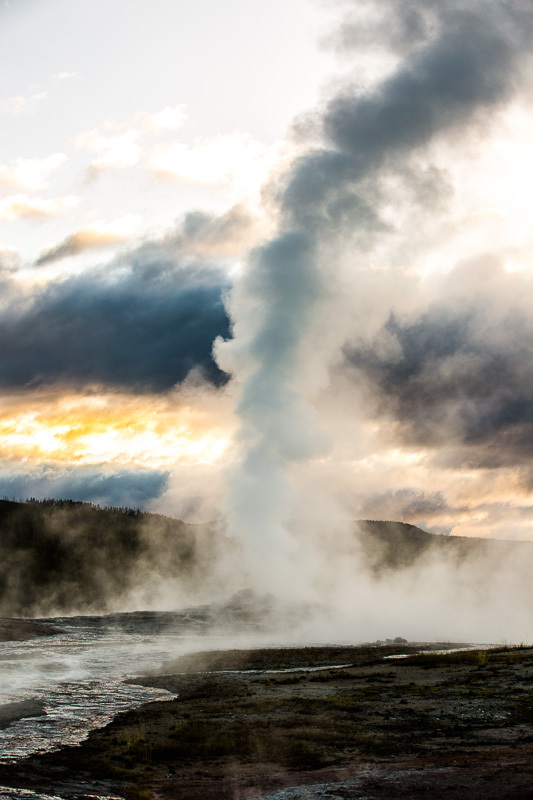 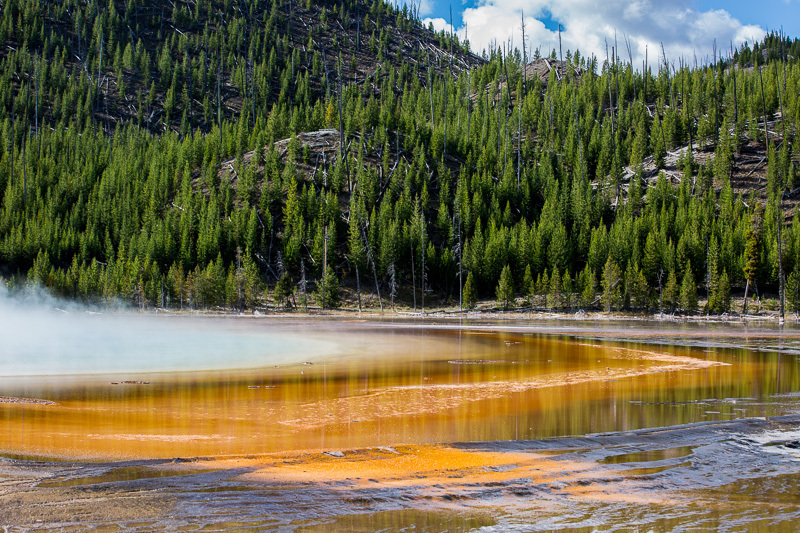 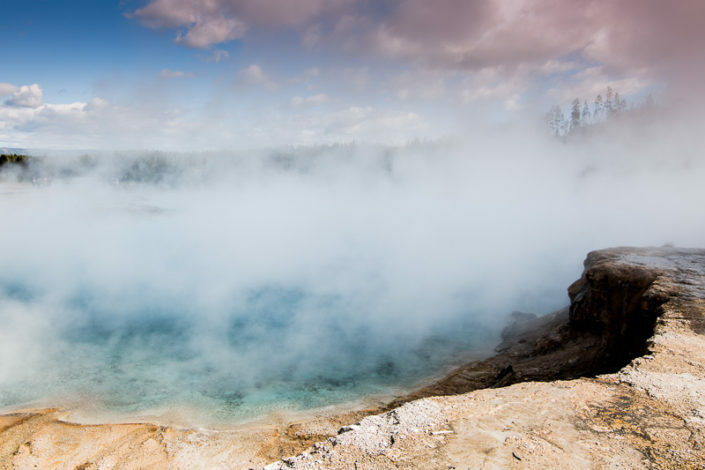 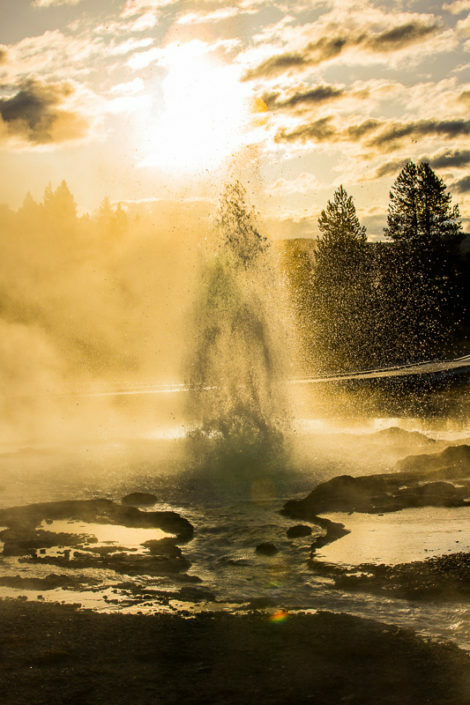 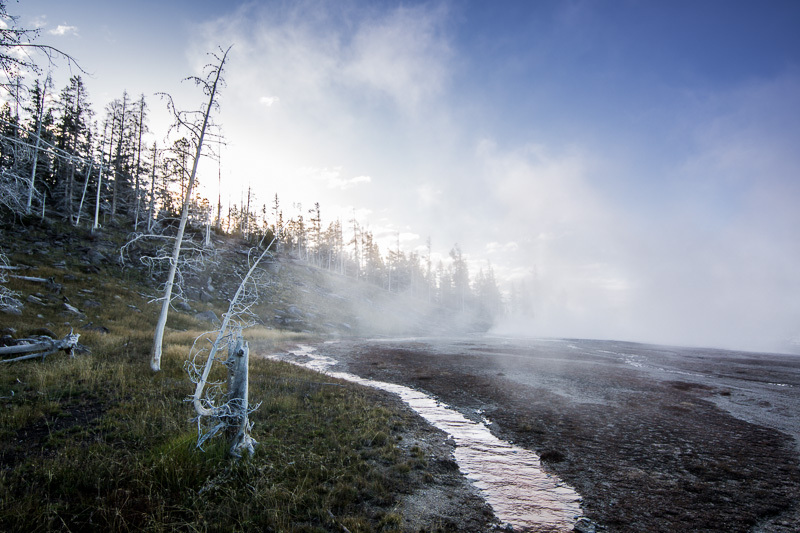 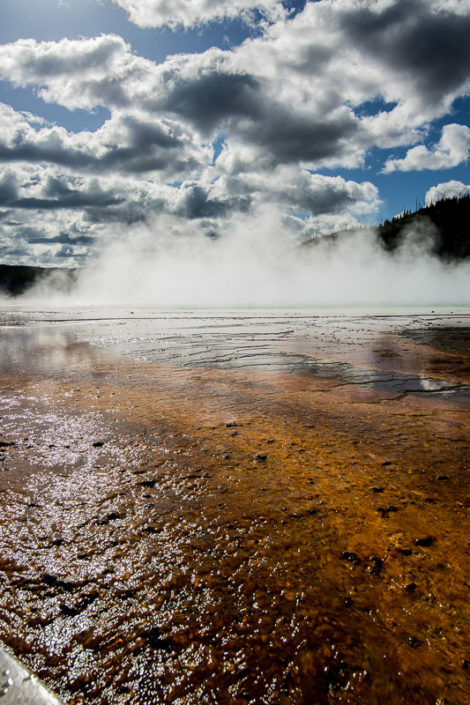 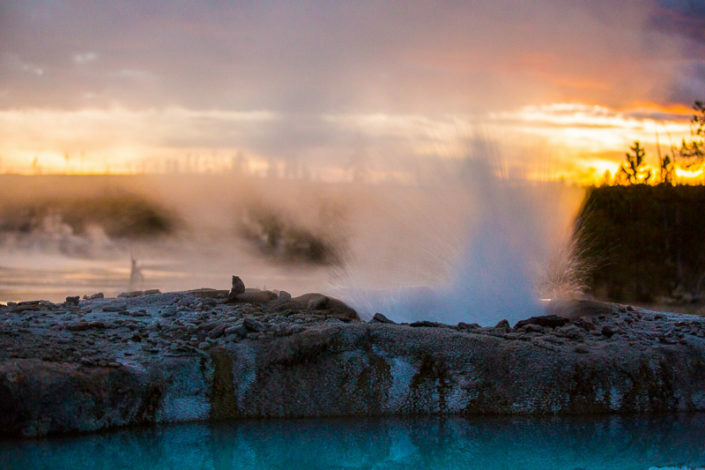 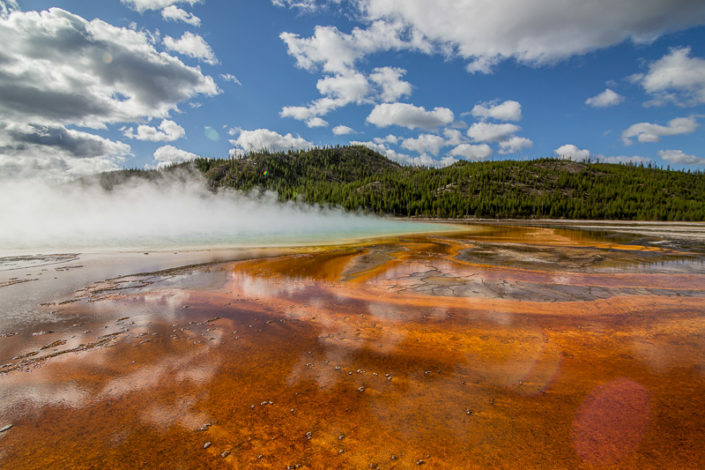 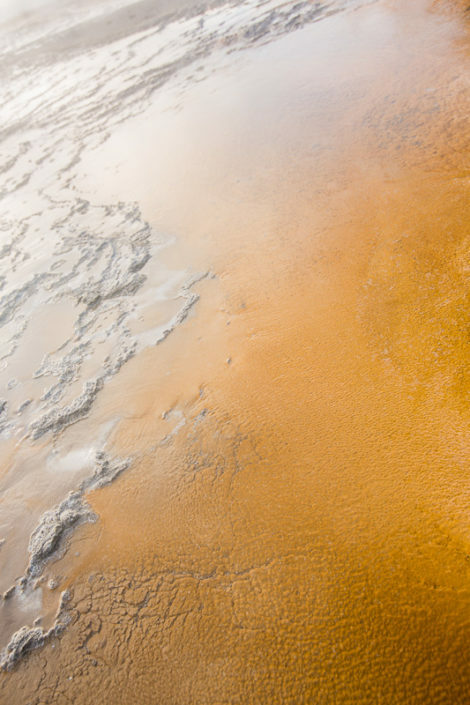 Norris Basin is the largest geyser network in the world. Nearly every turn reveals astounding visuals with colors as brilliant as the waters of the Bahamas. Occasionally a visitor will fall into one of these pools and with temperatures reaching 200º F the outcome is not a good one, if not fatal.